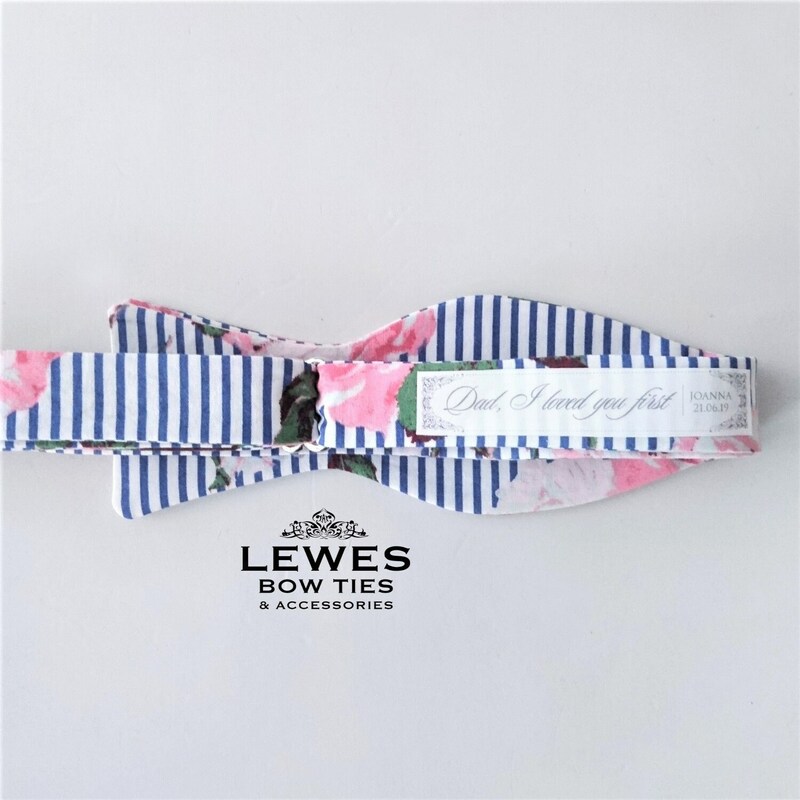 This personalised bow tie patch includes bride's name, wedding date and message "Dad I loved you first". This beautiful patch features the message and heart design printed on 100% cotton fabric. The size of the patch is 1.5 cm x 8.5 cm - just right to fix to the back of a bow tie. Place an order, send us the name and date to be printed. We'll email you a proof within 1-2 days and will be ready to ship asap after your approval. 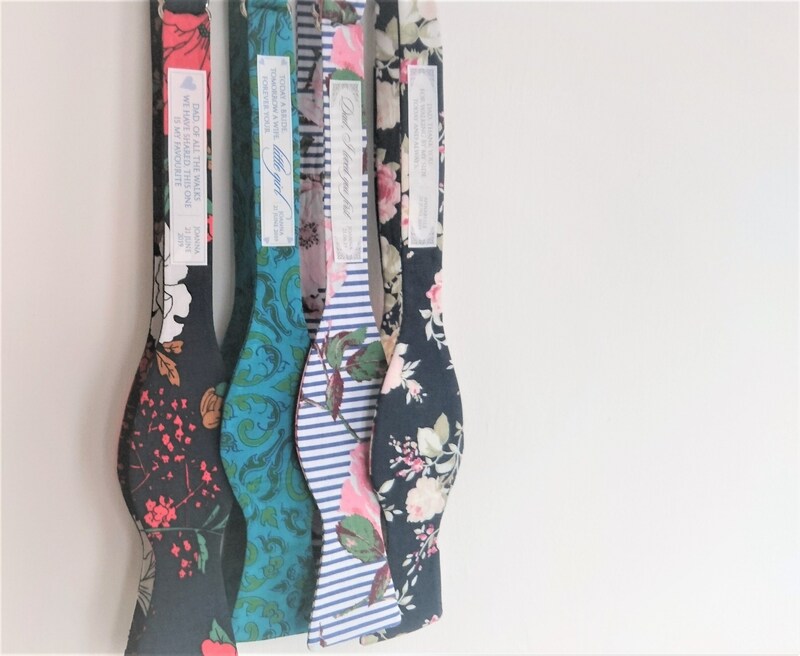 We can also customise your bow tie patch with YOUR OWN PERSONAL message - please choose custom option from drop-down menu above and send us the words to be printed (please try to keep the similar number of words as per this design"
This bow tie patch is a wonderful gift, a thoughtful keepsake that will bring years of happy memories. Bow tie is not included in the price. No returns or exchanges as these are personalised items. No items will be shipped without your approval. Please proof carefully, once approved, the item will go into print and refund/cancellations/changes are not possible. Monitors vary in colour representation and it is normal to see some colour variation between your monitor and the printed item, which we can't be held responsible for. Be assured though that we spent a lot of time choosing the optimum colours that will work beautifully on your personalised items!